2018 NCHV Annual Conference | May 30 - June 1, Grand Hyatt Hotel, Washington, D.C.
Download the 2018 Conference program, including full schedule, session descriptions, and presenters. Download the 2017 NCHV Annual Conference program, featuring the full Conference schedule, session tracks and descriptions, presenters, and all related information for this year's event. • A1 Predicting Evictions from HUD-VASH (Dennis Culhane, PhD). • A2 Connections between Healthcare and Expedited Housing Placement. • A3 Interventions that Impact Hospital Use. • A4 Shelter Status and Mortality (Dennis Culhane, PhD). • A5 The Mission Model: Integrating Peer Support and Case Management. • A6 Opioid Use and Homelessness. • A8 New Findings from Ongoing Research: VA Homelessness Screening Clinical Reminder. • B1 Washington State: Leveraging Public and Private Partnerships in Rural Areas (Part 2) (Cat Nichols). • B2 Detroit: Women Veterans in Transitional Housing Programs (Mena Poole). • B3 San Francisco: Using Roommate Matching to House Chronically Homeless Veterans (Tramecia Garner). • B4 New Mexico: Transitional Housing and Jail Diversion (Elinor Reiners). • B5 Houston: Life Skills and the Path to Permanent Housing (Glory Udoh, M. Ed.). • B6 Madison, TN: Creating Permanent Supportive Housing (Deborah A Hillin). • B7 Virginia: Developing a Communitywide Coordinated System (Matt Leslie, MSW). • B8 New York City: Rapid Re-Housing (Jahmila Vincent). • B9 Decatur, IL: Assessing the Effectiveness of Day Centers (Dr. Diane Pleasant, PshD, LCPC, CADC). • B10 Wisconsin: Integrated Behavioral Health Treatment (Lori Kirchgatter). • B11 Western New York: Stand Down Success through VA/Community Partnerships (Sean Lindstrom). • B12 New York City: Coordinating Aftercare Resources (Adam Wawrynek). • B13 Minnesota: Speeding Up Rapid Re-Housing Placements through Community Partnerships (Nathaniel Saltz). • B14 Niagara, NY: Creating Housing Solutions in Small Communities (Jennifer D’Andrea-Terreri). • B15 Philadelphia: Lessons Learned from “Ending” Veteran Homelessness (Toneh Williams, M.H.S., and Steven Culbertson). • B16 Los Angeles: SSVF and the Entry Point (Craig Joyce). • C3 SSVF and HUD – VASH Coordination (John Kuhn). • C4 Effective GPD Models (Jeff Quarles). • C5 Healthcare for Homeless Veterans (HCHV) (Eileen Devine). • C6 Low Demand Model Development Initiatives in VA Homeless Programs (M. Scot Young, PhD). • D1 Employment Services and Rapid Re-Housing: Eligibility Coordination (Maria Temiquel). • D2 Assessing VA Benefits through local VSO Partners (Mark Walker, LeRoy Acosta). • D3 Tickets to Work for America’s Veterans (Mike Greenburg). • D4 Veteran – Centered Employment Programs (Henry McAllister, Demarcus Rogers, John Briggs). • D5 Creating a Geographically Focused Employment Strategy (Dee Albritton). • D6 Integrating SOAR with VA programs: Success from the Field (Jen Elder). • D7 Integrated Financial Service Delivery (Michael Palumbo, Ray Pennie). • D8 IPS Supported Employment and Homelessness (Stacey Teegardin). • E1 How to Find Legal Assistance and Build Effective Partnerships (Sara Sommarstrom). • E2 Removing Criminal History Barriers for Homeless and At-Risk Veterans: The Success of State Level Criminal Justice Reform (Holly Harris, Brock Hunter, Sarah Catherine Walker). • E3 Bankruptcy, Bad Credit, and Consumer Debt Defense (Tony Camilli, Renato Izquieta). • E4 Legal Services and Stand Down: Courts and Civil Legal Assistance (Steve Binder, Sara Sommarstrom). • E5 Child Support (James Murray, Sara Sommarstrom). • E6 Embedding Lawyers in Veteran Service Provider Organizations (Lara Eihardt, Rose Carmen Goldberg, James Heaton, Keith Hoffman). • F1 Trends in Veteran Suicide: Causation and Prevention (Robert Stohr, Paul Freese, Paula Clamurro, Dr. Kathleen West). • F2 Harnessing the Power of Peers (Natalie Siva, Matthew Havniear). • F3 Creative Treatment Models (Carl P. McKnight, PsyD, Lena Asmar, Carston Warner). • F4 Serving Minority Veterans (Ron E. Armstead). • F5 Women Veterans: Ongoing Barriers and Challenges Faces Post-Military (LaShondra Jones). • F6 Seven Dirty Words You Can Never Say in Person Centered Practice (Ben Cattell Noll). • F7 Treating Post Traumatic Stress with Yoga & Meditation (Ian Chon). • G1 Rapid Re-Housing Standards (Samantha Batko). • G2 Funding Veteran Housing and Programming through Collaboration (Chapman Todd, C. Andrew McCawley, Robert Stohr). • G3 Federal Veteran Housing and Programming through Collaboration (Bev Ebersold, Emily Gargiulo). • G4 Federal Benchmarks: Insight into the Review Process (Bev Ebersold, Emily Garguilo, Anthony Love). • G5 Building a Quality By-Name List (KO Campbell). • G6 The Mayor’s Challenge to End Homelessness 2.0 (Elisha Harig-Blaine). • G7 Community-wide System Assessment and Improvement (Doug Tetrault). • G8 Accreditation: Is it Right for Your Program? (Shannon Green, Pete Hathaway). The 2016 NCHV Annual Conference took place June 1-3 at the Grand Hyatt in Washington, D.C.
2016's Conference was an important turning point as we took the momentum and energy of the Five-Year Plan and leveraged it into a new era for homeless veteran services, where functional zero was the minimum accepted level of services available that will be reached by communities, cities, and states across the country. The 2016 speaker list and available presentations materials can be found below. Every year, NCHV awards individuals and organizations that have demonstrated outstanding service to homeless veterans. This year’s awardees have demonstrated an outstanding commitment helping America’s heroes. The Jerald Washington Memorial Founders’ Award is the highest honor bestowed in the homeless veteran assistance community. The award honors the memory of Jerald Washington, former organizer of veteran assistance programs in Florida and Tennessee, and a co-founder of the National Coalition for Homeless Veterans. The award is presented to an individual who embodies the spirit of service and sacrifice displayed by Washington throughout his career, and acknowledges that person’s special place in the history of the homeless veteran assistance movement. The Thomas Wynn Sr. Memorial Award for Lifetime Achievement To a person whose career reflects a strong devotion to bringing attention and services to homeless veterans. Outstanding Member Award - American GI Forum National Veterans Outreach Program Inc. The outstanding Member Award to the NCHV member that has demonstrated leadership in coalition building. The Meritorious Service Award To persons who exemplifies service to NCHV, its members, and homeless veterans in general. The Unsung Hero Award To a person who has contributed to the recognition of the homeless veteran issue in a supporting or unrecognized leadership role. Federal Agency Staff Award to a Federal Agency staff member who has exhibited a strong commitment to the service of homeless veterans. The Outstanding Corporate Partner Award to one or more corporations whose contributions have helped increase the effectiveness of the homeless veterans movement. The Public Policy Award to a public policy partner who has displayed a strong commitment to advancing legislation that serves homeless veterans. Download the 2015 NCHV Annual Conference program here! 25 Years: Thank You for Your Service – This was our message to you, and the theme for the 2015 NCHV Annual Conference, which was held May 27-29, 2015, at the Grand Hyatt in Washington, D.C. Last year was NCHV’s 25th anniversary and we still thank you, the NCHV members and partner agencies, for your work over the last 25 years. Last year was significant for all of us, and the Annual Conference was an opportunity to connect to the expertise of past experience and the planning for the future. As the sun set on the Five-Year Plan to End Veteran Homelessness, we built upon a quarter century of knowledge that propelled us into a new realm. At last year’s Conference, we focused on how our past set a foundation for the future of services for veterans experiencing and at-risk of homelessness. We shared successes and planned for the future. Sharing Success: The Conference focused on the momentum found in local communities that is ending veteran homelessness. We shared our energy and experiences in driving down veteran homelessness in every community. We learned from experts across the service continuum who made it happen. Planning for the Future: We built a plan beyond 2015 to ensure that no veteran sleeps on our nation’s streets. This new sphere of services is defined by prevention, rapid rehousing, increased efficiency, and creative adaptation to meet the emerging needs of homeless veterans in our communities. Join us at the 2016 Conference to continue the progress. Bryan Dysert (HVAF of Indiana, Inc. Please submit a one- to two-page letter of nomination including the nominee's name, title, and which award you are nominating for by email to cborden@nchv.org no later than April 17, 2019. The National Coalition for Homeless Veterans (NCHV) is the resource and technical assistance center for a national network of community-based service providers and local, state and federal agencies that provide emergency and supportive services to homeless and at-risk veterans. As the only national organization dedicated exclusively to ending homelessness among veterans, NCHV is recognized as a major authority on policies and programs with far-reaching impacts on the veteran community. "The Drive to December" | Oct. 5-6, 2015 in Washington, D.C.
Download the 2015 NCHV Veterans Access to Housing Summit program (Updated Oct. 1). The 2015 NCHV Veterans Access to Housing Summit, "The Drive to December", was held Oct. 5-6 at the Grand Hyatt Washington, 1000 H Street NW, Washington, D.C.
Department of Housing and Urban Development (HUD) Secretary Julian Castro and Executive Director of Joining Forces Colonel Nicole Malachowski were on hand to help us kick off two days of intense working sessions with updates on national policy and progress on preventing and ending veteran homelessness. This year's Summit gathered Federal agencies involved in ending veteran homelessness, technical assistance partners for the major homeless veteran service programs, and experts from around the country to help attendees set a high-speed plan for the final 100 days of the Five-Year Plan to End Veteran Homelessness. No matter a community's target date for ending veteran homelessness, it must be treated as an emergency situation. This event equipped attendees with tools and strategies to increase the urgency and efficiency in their area to effectively identify each individual homeless veteran and guide them to the most effective solution available to get them stably housed. Click here to learn more about joining NCHV! 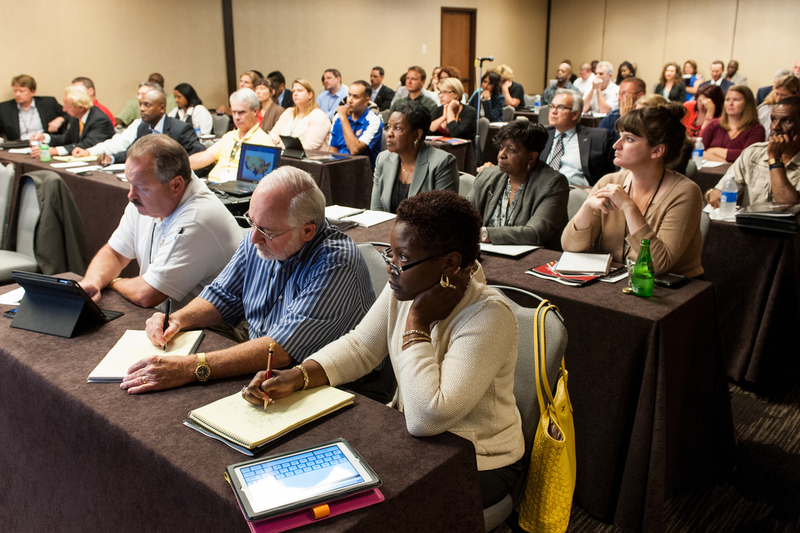 2014 NCHV Veterans Access to Housing Summit sessions. 2014 NCHV Veterans Access to Housing Summit program. Learn about new funding mechanisms to increase your community’s housing stock. New Orleans is nationally recognized for their extraordinary progress in alleviating homelessness. The city's efforts to end veteran homelessness show ingenuity, creativity and dedication. Over the past two years, veteran homelessness dropped 66 percent, a fact made all the more impressive given the city's spike in homelessness after Hurricane Katrina. In summer 2014, Mayor Mitch Landrieu announced the City of New Orleans' drive to be the first city in the country to end all veteran homelessness by 2014. "The President sent out a clarion call that this is not who we are as a nation and that we need to come together as one people to make sure that all the veterans have what they need, from housing to health care to jobs," Mayor Landrieu said at a ceremony on the 4th of July. New Orleans has already shown this dedication as an active member of the VA's 25 Cities Initiative. This effort is an example of the success possible when a community merges ending veteran homelessness into its overall homelessness plan. New Orleans provided the NCHV Housing Summit with fitting surroundings to discuss what is possible as we strive to ensure affordable housing access for all veterans experiencing homelessness. Representatives from New Orleans have been invited to share their strategies, victories and challenges with Summit attendees. Intersections of Major Initiatives: What Comes Next? The National Coalition for Homeless Veterans (NCHV) – a 501(c)(3) nonprofit organization governed by a 23-member board of directors – is the resource and technical assistance center for a national network of community-based service providers and local, state and federal agencies that provide emergency and supportive housing, food, health services, job training and placement assistance, legal aid and case management support for hundreds of thousands of homeless veterans each year. NCHV also serves as the primary liaison between the nation’s care providers, Congress and the Executive Branch agencies charged with helping them succeed in their work. NCHV's advocacy has strengthened and increased funding for virtually every federal homeless veteran assistance program in existence today. Under a technical assistance grant awarded by the Department of Labor-Veterans' Employment and Training Service (DOL-VETS), NCHV provides guidance and information about program development, administration, governance and funding to all of the nation’s homeless veteran service providers. This is achieved through conferences, webinars, personal consultations, publications, and this website – the nation’s most comprehensive information resource about homeless veterans and the programs that serve them. The NCHV Central Office staff offers service providers assistance with administrative organization and program development; information about government, foundation and corporate grants; and guidance to ensure compliance with federal and state regulations. We operate a toll-free homeless veterans assistance phone line and a comprehensive website to direct those who need help to the people who can provide it. NCHV was organized in 1990 by a small group of community-based service providers who were troubled by the disproportionately large percentage of homeless people who were veterans, and the lack of veteran-specific programs to help them. We opened our Washington, D.C., office in 1993 in order to work more closely with Congress and Executive Branch agencies to ensure the inclusion of veterans in federal assistance programs. According to its own estimates, Department of Veterans Affairs (VA) programs will reach slightly more than 40 percent of America’s homeless veterans. The National Coalition for Homeless Veterans is the only national organization specifically dedicated to improving the opportunities for these deserving Americans to regain control of their lives and once again enjoy the freedoms they helped preserve. Our community-based service providers represent all 50 states, the District of Columbia, Puerto Rico, and Guam, and we offer assistance to any homeless service provider that contacts our office. NCHV is recognized as the nation’s leading authority on homeless veterans issues by several agencies and departments of the U.S. government, and has worked in partnership on projects with VA, DOL, the Department of Housing and Urban Development, and the Federal Emergency Management Agency. NCHV has helped develop and increase funding for homeless veteran-specific programs such as the Homeless Veterans Reintegration Program and the VA Homeless Providers Grant and Per Diem Program, both of which are currently funded at their highest levels ever. We helped write and worked to ensure passage of the hallmark Homeless Veterans Comprehensive Assistance Act of 2001, which had the potential to provide $1 billion for homeless veteran service providers and programs. In the current Congress, in addition to various other measures, NCHV was instrumental in crafting and passing the Jeff Miller and Richard Blumenthal Veterans Health Care and Benefits Improvement Act of 2016 – the most significant piece of legislation for homeless veterans in more than two years. Kathryn Monet is the Chief Executive Officer of the National Coalition for Homeless Veterans. In this role, she focuses on the execution of NCHV’s strategic policy and technical assistance agenda, and on expanding NCHV’s strategic partnerships to more effectively end veteran homelessness. Kathryn has spent over eight years in the public and nonprofit sector working to address housing instability and homelessness among veterans. Prior to joining NCHV, she was with the National Alliance to End Homelessness focusing on the promotion of data-driven, evidence-based interventions to end homelessness, particularly among veterans. Kathryn also was involved in veteran homelessness in a legislative capacity during her time at the Senate Committee on Veterans' Affairs. She earned a Masters of Public Administration from Villanova University and a Bachelor of Science in Diplomacy and International Relations from Seton Hall University. Joshua Stewart has been with the National Coalition for Homeless Veterans (NCHV) since 2013. His portfolio has included congressional and governmental relations, policy development, and advocacy-focused communications.The common theme between all of his duties is the drive to educate: to inform Congress and other policy-makers of the reality of the situation in the field, to relay to them the needs of the service provider community, and to highlight for them what they can do to best help homeless and at-risk veterans. Joshua has been a contributing author to documents including the “Independent Budget for the Department of Veterans Affairs”, the “Veterans Housing Agenda”, and two amicus curiae briefs for the Supreme Court of the United States. Prior to his time at NCHV, Joshua conducted historical research on social support structures, poverty, and homelessness in 19th and 20th century New England. Other of his published works focus on veteran’s issues, memorialization, and social theory more broadly. He received his M.A. in Historical Archaeology from the University of Massachusetts Boston in 2013, and his B.A. in Anthropology from Gettysburg College in 2011. Cindy Sturtevant Borden is the Assistant Director, Technical Assistance and Training for the National Coalition for Homeless Veterans (NCHV). In this role, she leads NCHV’s Technical Assistance Center with a focus on the DOL-VETS Homeless Veteran’s Reintegration Program (HVRP). Borden provides intensive coaching in program design and implementation to grantee service providers and works closely with federal staff. She oversees the development of TA Center products including webinars, research briefs and best practice guides. Prior to joining NCHV, Borden provided training and technical assistance to a variety of community service organizations. Her work included product development, management coaching and capacity building. Borden earned a Bachelor of Science Degree in Finance and a Bachelor of Arts Degree in Spanish Language and Literature both from the University of Maryland, College Park. Katherine Klassa is the Program Assistant for the National Coalition for Homeless Veterans. In this role, she assists in the development of TA Center products, including research briefs and best practice guides. 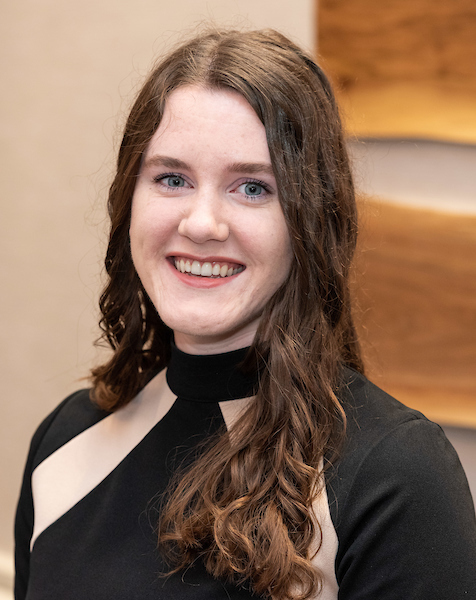 Prior to joining NCHV, Klassa provided communications assistance for several community service organizations, where she assisted in efforts to boost the organizations’ community visibility through social media and online communications. Klassa earned a B.A. in International Studies from North Carolina State University. Karen Christian comes to us with over 12 years of administration, operations, and office management experience. Majoring in Business Administration at Morgan State University, following a tour of duty in the Army, she plans on completing her degree next year. She enjoys making a meaningful contribution to NCHV and the veterans we serve. 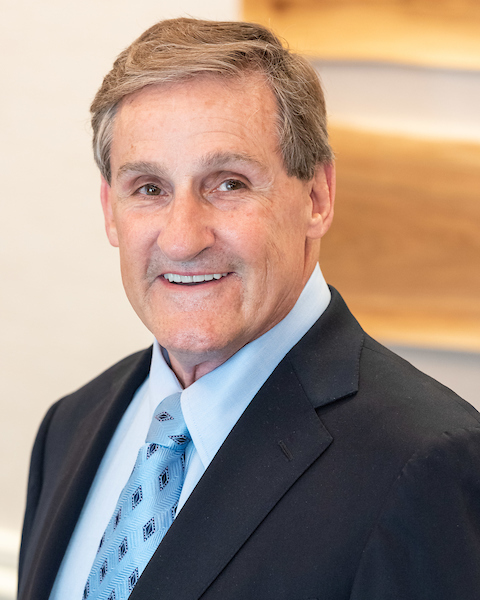 Charles S. “Chick” Ciccolella, Chairman of the Board for NCHV, is the President of CSC Group LLC, a service disabled veteran owned business that provides consulting and advisory services on veteran transition, reintegration and workforce development. Ciccolella is a former Assistant Secretary of Labor for Veterans Employment and Training at the Department of Labor, and a retired Army Infantry Colonel. 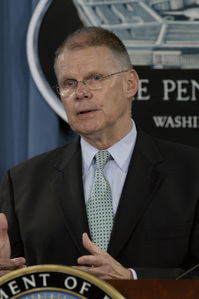 He has served in key positions with the U.S. State Department, the Senate Sergeant at Arms, and the Senate Committee on Rules and Administration. 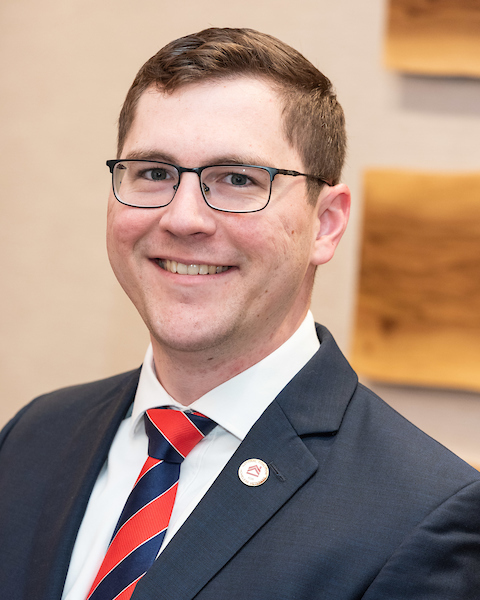 He has also served as an Assistant Director on the National Staff of The American Legion and is a past Chairman of the Board for the Student Veterans of America. Leon Winston is the Chief Operating Officer and Housing Development Director of Swords to Plowshares. A formerly homeless veteran, he was referred to Swords to Plowshares by the local VA Medical Center in 1993 and began working for the agency in 1995 after completing the agency's Transitional Housing program. Since that time he has obtained Master of Nonprofit Administration and Bachelor of Public Administration degrees from the University of San Francisco, and certification in Alcohol and Drug Abuse Studies from U.C. Berkeley. He was the recipient of the Veterans Champion Award from the National Alliance to End Homelessness in 2013 and appointed to the VA Advisory Committee on Homeless Veterans in 2015. He lives in San Francisco with his spouse, Michael, also a Navy Veteran. Marc Deal has over 18 years of nonprofit management experience, building programs and collaborations that benefit veterans to achieve community integration after service. He served active duty United States Army from 1986 through 1993 as an Airborne Medic and Flight Medic, and the United States Army National Guard from 1993 through 2006 as a Platoon Sergeant and Flight Medic. He received numerous awards and decorations during his service including; Air Medal with V Device, Air Medal, three Army Commendation Medals, six Army Achievement Medals, Southwest Asia Service Medal, Armed Forces Expeditionary Medal, and two Good Conduct Medals. Deal holds a Master’s Degree in Philosophy and Bachelor’s Degrees in Psychology and Biology. He is a devoted father, and is at least the third generation of his family to serve his country in combat. 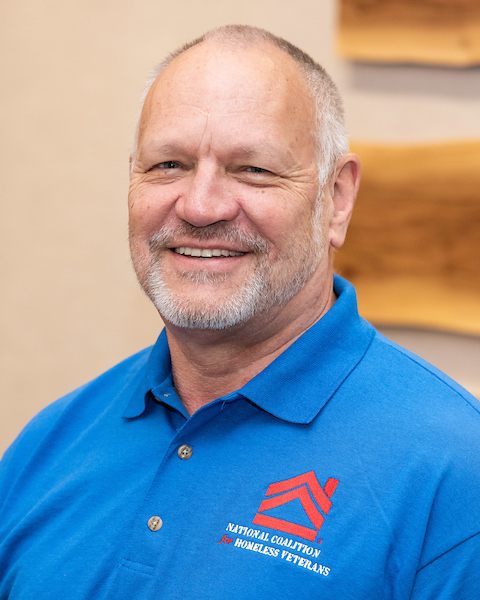 Mitchell Milner, President, Milner & Caringella Inc., has developed over 3,500 housing units valued at over $450 million since 1985, serving the long term housing needs of low-income tenants including over 1,300 homeless veterans. Housing projects are located in Chicago, Minneapolis, Detroit, Indianapolis, Washington, D.C., Perry Point, MD, Canandaigua, NY; Battle Creek, MI; Marion, IN and other locations. Milner works as both a housing consultant in partnership with not-for-profit sponsors and as an owner/developer. John Altenburg, Jr. served for 28 years as a lawyer in the Army. From 1997 to 2001, he was the Deputy Judge Advocate General of the Army. Altenburg retired at the rank of Major General. His service was marked by extensive experience in military justice, international law, and operations law. He was one of several key JAG Corps leaders who helped transform the practice of law in the Army by insisting that lawyers acquire soldier skills and immerse themselves in their clients’ business to become more effective advocates. Currently a principal with the Washington D.C. office of the international law firm Greenberg Traurig, Altenburg was a consultant on Ethics and Business Conduct to the President of the World Bank Group before joining Greenberg Traurig in November of 2002. His practice focuses on corporate governance, investigations, and contract litigation. Steve Benz is an Air Force veteran, having served from 1985 to 1991. He is currently a Partner in the Law Firm of Arnold and Porter, in Washington D.C. Prior to that, he was an attorney at Eli Lilly and Company in Indianapolis for 18 years. 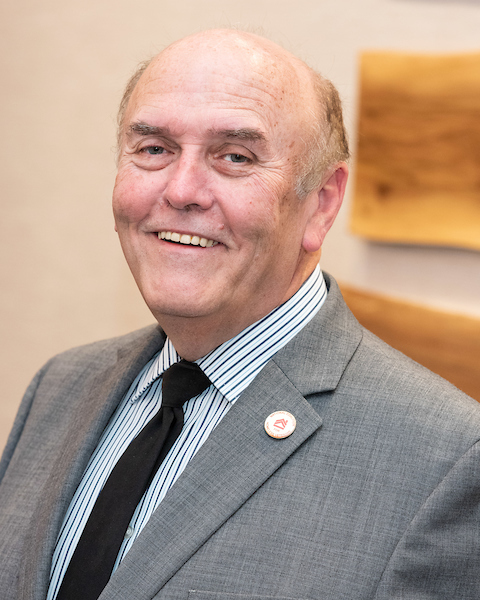 Benz has served on the Board of the Hoosier Veterans Assistance Foundation (HVAF) in Indianapolis for over 15 years, where he was the Board Chair for six years. HVAF houses over 200 formerly homeless veterans and administers grants and other programs to prevent hundreds of others from becoming homeless. He has been on the NCHV Board for five years. He is also a volunteer runner for Back on My Feet, an organization, that through running and mentorship, helps persons (many of whom are veterans) who have struggled with homelessness and other issues to get their lives back on track. Brad Bridwell has over 21 years of experience working with homeless individuals. He has dedicated the past 17 years to specifically assisting homeless veterans to successfully reintegrate back into their communities. Bridwell is currently the Director of National Operations for Cloudbreak Communities, a special needs housing developer for homeless veterans that has developed over 3,000 units of housing for veterans. Previously, he was employed as Arizona’s first Homeless Veterans Services Coordinator at the Arizona Department of Veterans Services and was responsible for coalescing stakeholders to create, implement and evaluate the State’s effort to end homelessness among veterans. Bridwell served as a key leader in Project H3: Home, Health, Hope; a local implementation of the 100,000 Homes Campaign, uncovering critical innovations in “Housing First” models for people experiencing long-term homelessness and who are medically vulnerable, and has played a key leadership role in Project H3 VETS, Maricopa County’s initiative to end chronic homelessness among veterans. Bridwell holds a Master’s in Business Administration from the University of Phoenix and a Bachelor’s of Social Work from Arizona State University. In addition to the NCHV Board, he has also served as the Board Chair of the Arizona Coalition to End Homelessness. Pete Dougherty has been the Sheriff and Treasurer of Jefferson County, WV since 2013. In this role, he is responsible for law enforcement, tax collection, animal control, and courtroom and courthouse security for the county. He was previously the first National Director of U.S. Department of Veterans Affairs Homeless Programs, where he was an instrumental partner to NCHV, homeless veteran service providers across the country, and an advocate for the homeless veterans VA programs served. Prior to his career at VA, Dougherty served as a staff member to both the U.S. House and Senate Committees on Veterans Affairs. Dougherty is one of only three individuals to be a two-time recipient of the Jerald Washington Memorial Founders’ Award – the highest honor bestowed in the homeless veteran assistance community. Matt Leslie is the Assistant Director of the Virginia Veteran and Family Support program for the Virginia Department of Veterans Services (VDVS). 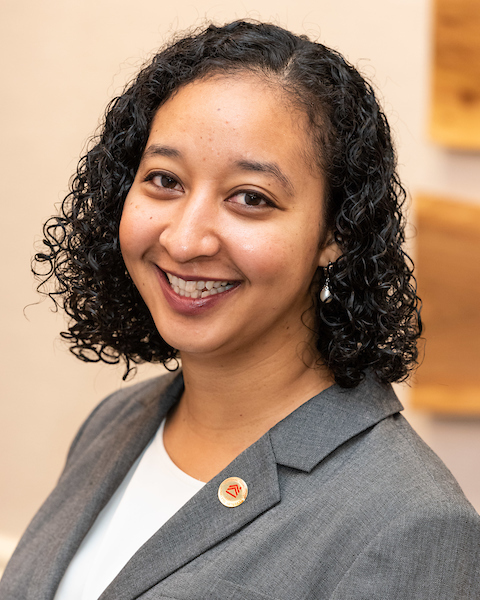 In this role, Leslie provides leadership and policy support to improve access for veterans in need of behavioral health, rehabilitative, and supportive services throughout the Commonwealth of Virginia. He is responsible for statewide coordination in addressing housing instability for veterans. He assists communities to collaboratively develop and enhance systems for increasing access for veterans through partnerships with local, state, and federal entities, including coordinating with six Veterans Affairs Medical Centers. Leslie chairs the Governor’s Coordinating Council on Homelessness Veterans Committee and was the lead when Virginia was the first state to effectively end veteran homelessness. Before joining VDVS, Leslie worked at the Virginia Department of Housing and Community Development (DHCD) as both a Homeless and Special Needs Program Administrator and a Housing Policy Analyst. He has his Bachelor’s in Geography from James Madison University and a Masters of Social Work (Administration, Policy, and Planning) from Virginia Commonwealth University in Richmond, VA.
Tori Lyon, joined the Jericho Project in 1996 as the Director of Development. In 1999, she was promoted to Associate Executive Director, in 2005 became Executive Director, and in 2016 CEO. 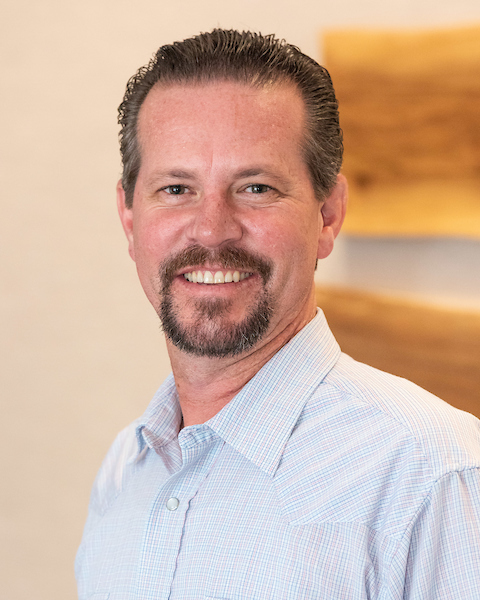 Lyon’s experience includes over 20 years in the supportive housing industry, primarily responsible for strategic planning, fundraising, housing and program development, and executive management. Prior to joining the Jericho Project, Lyon was the Grants Manager at Bailey House, a supportive housing program for people living with HIV/AIDS. At Jericho, Lyon has overseen the development of more than 350 units of supportive housing, launched a nationally-recognized Veterans Initiative, and led the strategic growth of the agency, more than quadrupling the number of people served since 2010. She holds a B.S. degree from the Wharton School of Business at the University of Pennsylvania. 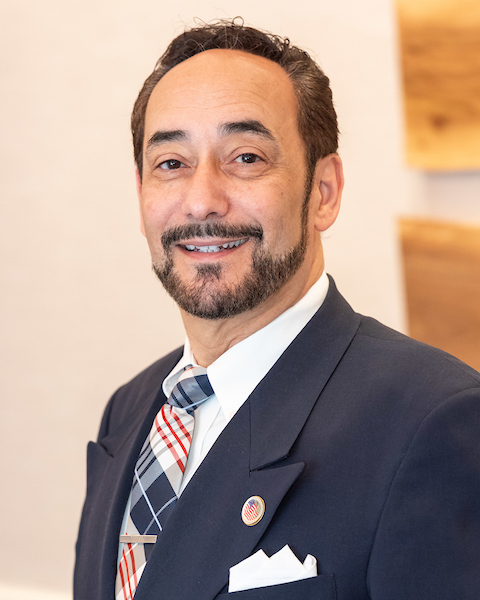 Since 1972, Carlos Martinez has guided the American GI Forum National Veterans Outreach Program organization into being one of the country’s most unique nonprofit groups – providing affordable housing, economic development, employment, support services, Veterans Residential Center, and disabled veterans Work Center. 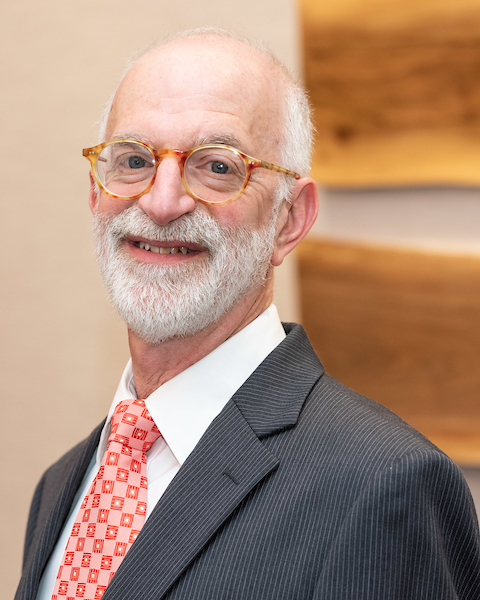 He has served on the VA’s Advisory Committees on Homeless Veterans, on Veterans Readjustment, on Women Veterans, on DOL’s Veterans Employment Committee, and on Texas’ Advisory Committee on state-owned Veterans’ Homes. He currently serves on President George W. Bush Institute’s Military Service Initiative Advisory Council. Martinez is a Vietnam Era veteran of the U.S. Air Force, and holds Management and MBA degrees. Wendy Charece McClinton is a native daughter of New York City, which is where she was reared and received her formal education. She is a decorated 10-year U.S. Army veteran who served during the Desert Storm Persian Gulf Era. 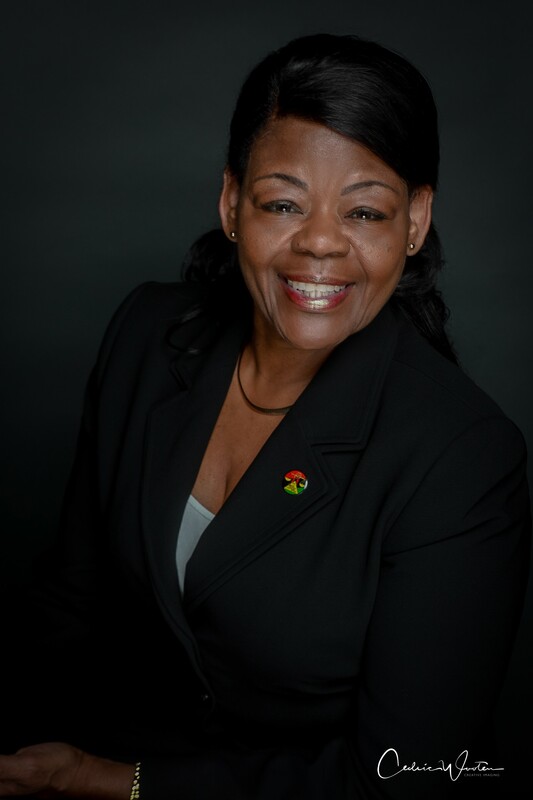 As an administrator, her leadership and management skills gave way to her prolific role as President/CEO of Black Veterans for Social Justice, Inc., a community based organization that has served ALL veterans, their families, and the community in New York City for the past 39 years. 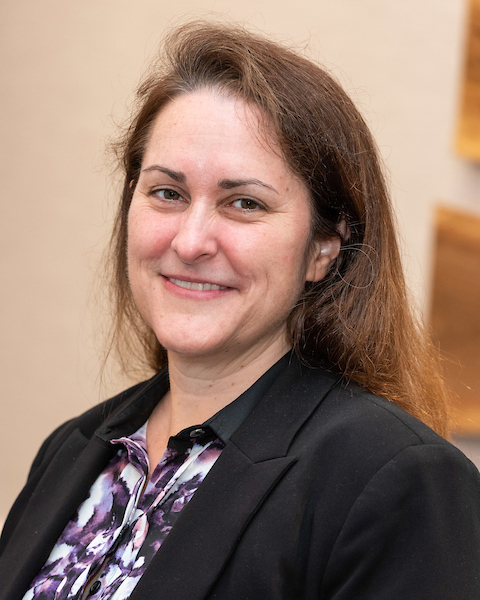 Cathrene “Cat” Nichols, a U.S. Army veteran, currently serves as Strategic Operations Manager for Washington State Department of Veterans Affairs, specializing in regional strategic and multijurisdictional partnerships. 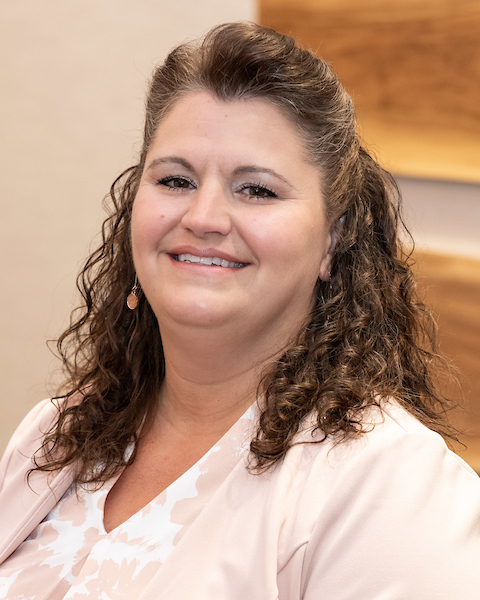 She serves as the Director of the Regional Veterans Service Center in Spokane, WA, and has been a member of the NCHV Board of Directors since 2018. Robert Norris joined the Marine Corps in 1966, going through boot camp at Camp Pendleton followed by training in electronics and communications at the Marine Corps Communications-Electronics Center in San Diego. He also underwent NBC (Nuclear Biological Chemical) warfare training at the El Toro Marine Corps Air Station and later studied Indonesian language at the Defense Language Institute in Monterey, California. In Vietnam he served as Communications Center Man, stationed respectively at Danang, Quang Tri and Dong Hoa. Norris’ awards for valor include the Navy Achievement-Combat V medal, Meritorious Unit Citation, Combat Action Ribbon (CAR), and the Republic of Vietnam (RVN) Cross of Gallantry. After discharge, he attended UC Santa Barbara, graduating with a Political Science/ Black Studies degree in 1974 and later completed his MBA at the University of Phoenix in 2004. 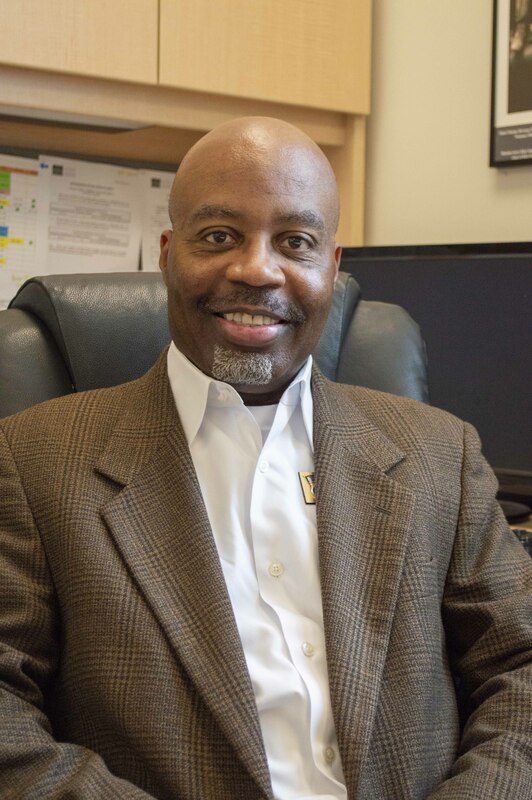 Norris continued his career of service with roles including Director of University of San Francisco’s Upward Bound Program, an appointee to the CA Department of Housing and Community Development, and Deputy Director for Housing at the San Diego Housing Commission. 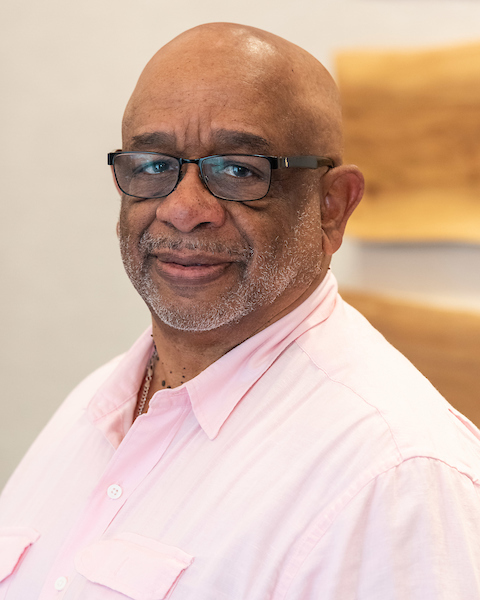 Norris served on the Board and as Executive Vice President for Century Housing Corporation from 2001 to 2010, and is most proud of serving on the board of NCHV. President Barack Obama presented him with the Community Drum Major Award In 2012. 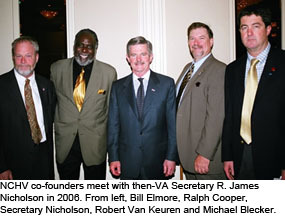 More than two decades ago, Vincent Perrone became involved in a grassroots effort to build the largest supportive services agency for veterans and their families in New England and was subsequently named Chairman, President & CEO of Veterans Inc. A 501(c)3, CARF accredited nonprofit headquartered in Massachusetts, Veterans Inc. has helped more than 75,000 veterans and their families in need and today operates a national referral service and offices and programs in all six New England states. Born in Worcester, MA, Perrone is a graduate of Norwich University, the oldest private military college in the nation and the birthplace of ROTC, where he was commissioned in the U.S. Air Force. He served in the military for 20 years, retiring as a Lt Colonel. He has a Master of Science Degree in Business Administration from Central Michigan University and holds Level III certification from the Department of Defense in Program Management and Acquisition Logistics disciplines. Following his retirement from the Air Force and before taking his current position at Veterans Inc., Perrone was Director of Global Government Marketing for EMC Corporation, a Fortune 500 company. Perrone and his wife, Debra, have four children, Francesca, Vincent III, Samuel, and Ricky. 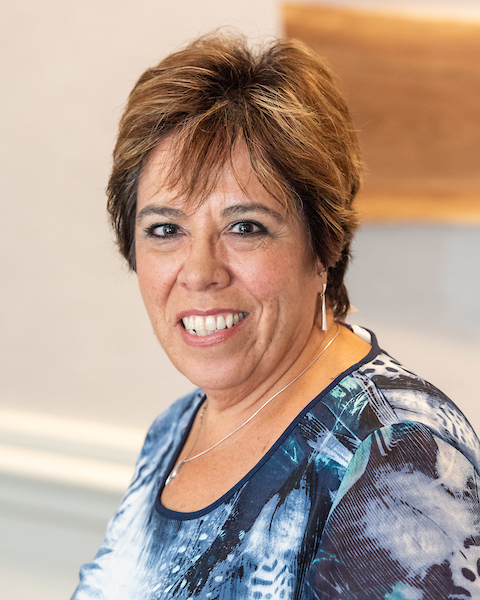 Starting her career in the U.S. Air Force testing navigation systems on aircraft, Elinor Reiners has expanded her career to over 30 years of experience in management of small businesses and large technology contracts ranging from $200K to $25M in annual revenues. She has supported major programs such as the Delta II, III and IV Launch Vehicle Programs, C-5 Avionics Air Mobility, and White Sands Missile Range High Energy Laser. Her expertise is in operations and business/financial management for research (engineering and biomedical), manufacturing and technology environments and nonprofits. As CEO of the New Mexico Veterans Integration Centers (NMVIC) a nonprofit 501 (c)(3) private entity, she focused on providing a Program to Homeless Veterans to help them to transition from homeless back into functioning members of our community. She provided program oversight over 300 veterans and 25 staff, as well as working with various commercial, donor, state, and federal agencies to ensure program objectives are achieved. She was responsible for the day to day management of the NMVIC to include budgeting, fiscal management, and personnel management. Currently, she is on the Board of Directors for the National Coalition for Homeless Veterans, and Chair for the NM Community Veterans Engagement Board (CVEB). Patrick E. Ryan has a unique blend of experience in the Executive and Legislative branch and for the last 14 years as a trusted consultant and problem solver on a wide array of issues affecting the delivery of services to veterans. Prior to becoming a consultant, he served for 21 years as the counsel to the Chair and Members of the House of Representatives Committee on Veterans Affairs, including serving as the Committee Staff Director and Chief Counsel from 2001 to 2004. Before going to work on Capitol Hill, Ryan worked at VA as a staff attorney in the Office of General Counsel, as a budget analyst in the Office of Management, and as a benefits counselor for the Veterans Benefits Administration's Washington Regional Office. He has a broad knowledge of VA laws and the budget process, and has worked extensively with stakeholders to gain acceptance of a number of important changes to the laws and processes governing the delivery of benefits and services to our nation's veterans. Ryan earned his law degree from Georgetown University Law Center, and his undergraduate degree in government and politics was awarded by the University of Maryland. Andre Simpson served 10 years in the U.S. Air Force where he deployed to Saudi Arabia during the Gulf War. 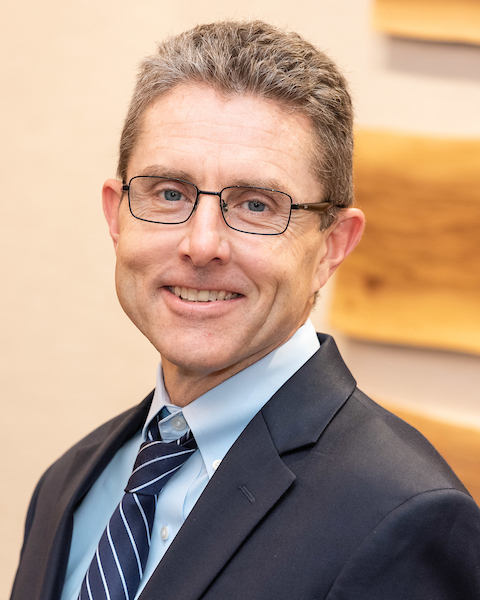 Simpson currently serves as Executive Vice President and Chief Operating Officer for Veterans Village of San Diego and has been associated with VVSD since 1996 when he was hired in the capacity of Counselor and Employment Case Manager. He has developed many new and exciting initiatives for VVSD, including the development of the monthly Homeless Court Program, a Medication Assisted Treatment protocol in partnership with the local VAMC, and a Non-Custodial Parent Program in collaboration with San Diego County Department of Child Support Services. 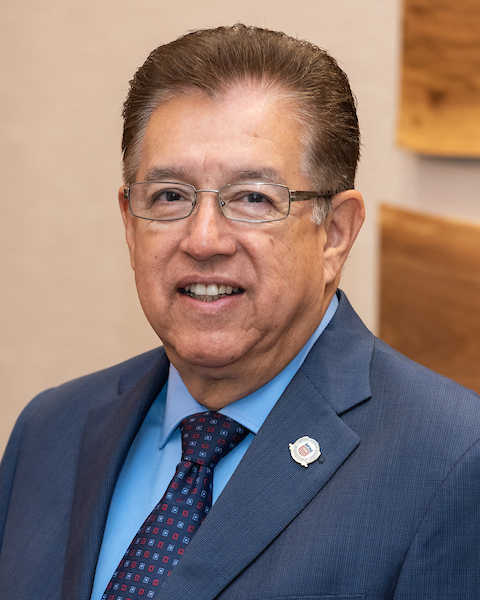 He serves on the National Coalition for Homeless Veterans Board of Directors in addition to serving on the Regional Task Force on the Homeless Governance Board. He holds a Bachelor of Science in Human Services, and Master of Science in Organizational Leadership. Janet M. Stringfellow received a Bachelor of Arts in Public Communication from the University of Puerto Rico in 1992 and a Master of Rehabilitation Counseling in 1996. She is one of the two authors of the thesis “Knowledge that the law students of the University of Puerto Rico demonstrate about the Americans with Disabilities Act and their attitudes toward individuals with disabilities.” Also, in 1997, she received her license as a rehabilitation counselor. In 2002, she was recognized as a Certified Rehabilitation Counselor (CRC) in the United States. In 2008, she completed the Volunteers of America of Florida executive development track, and the Volunteers of America’s Executive Development Program in 2011. In June of 2012, she became an ordained minister for Volunteers of America. 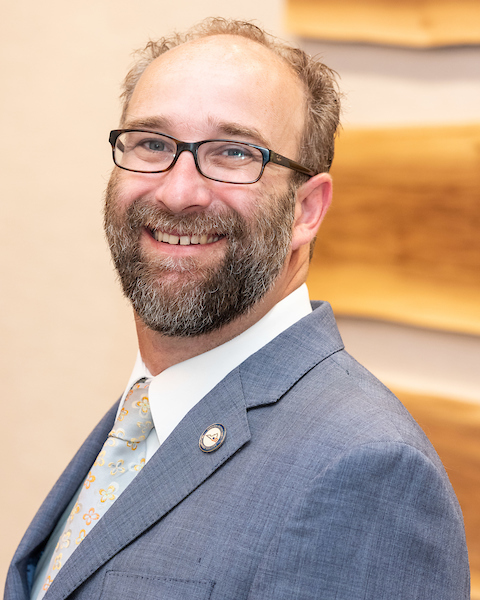 Stringfellow is currently serving as a board member for Leading Age Florida as a Leading Age Education Comittee Board Chair, the National Coalition for Homeless Veterans, and Volunteers of America Inc. Church Governing and National Board. 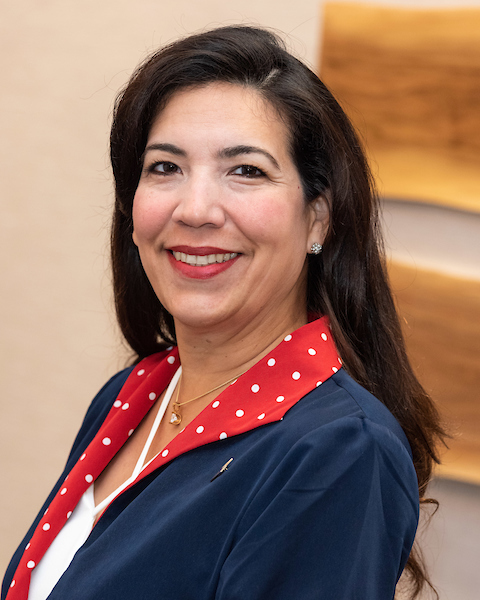 Stringfellow has served with Volunteers of America of Florida since 1998, and is extremely honored to build on VOA’s 122 years of service, and she proudly upholds the distinction of being the first Hispanic President/CEO of a Volunteers of America affiliate. 2019 NCHV Annual Conference | May 29-31, Grand Hyatt Hotel, Washington, D.C. REGISTRATION NOW OPEN, CLICK HERE TO REGISTER ONLINE | The 2019 NCHV Annual Conference - Driven by Data - is expected to sell out. Be sure to reserve your spot by registering early! We have reserved a block of rooms at the Grand Hyatt for Conference attendees at a discounted rate. This block is also expected to sell out. Reserve your discounted room by clicking here. Support efforts to end veteran homelessness while putting your organization or products in the spotlight! The 2019 NCHV Annual Conference will feature new and expanded opportunities for exhibitors and sponsors. Support the premier training conference for homeless veteran service providers and other stakeholders, AND get your organization's name in front of 700 attendees and 14,000 social media followers. The event also garners local and national traditional media coverage. This is the best opportunity for those looking to interact with homeless veteran service providers from across the country. Click here to view the Exhibitor and Sponsor application with more details. Each year, NCHV honors the commitment and service of a few of the many deserving organizations and individuals helping homeless veterans across the nation. To learn more about 2019 Annual NCHV Awards, click here. For past conferences, click here.